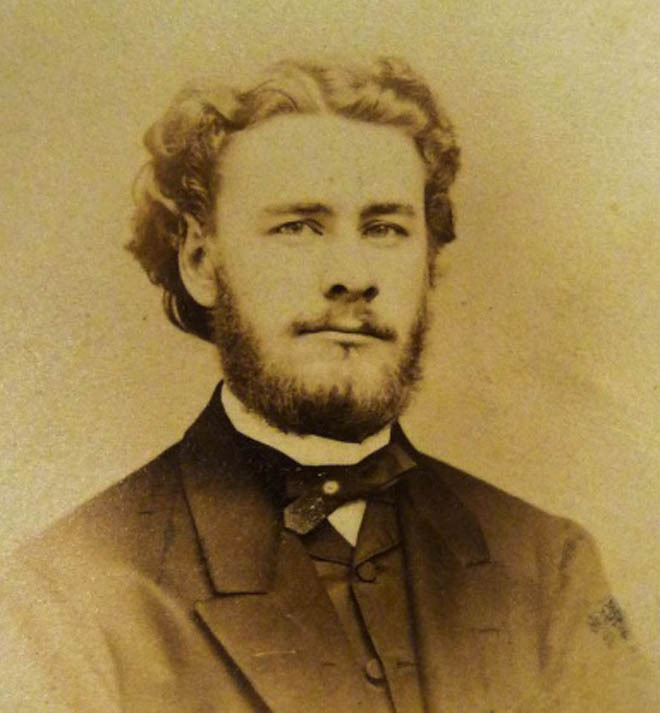 A common reaction to the name of Charles Augustus Briggs is – “Wasn’t he the heretic?” The answer should be “Yes, but that’s not the whole story.” A brief look at the life of Briggs and his astonishingly cultured and supportive family reveals some unexpected insights. Charles Briggs was born in New York in 1841, the son of Sarah M. Berrian and businessman Alanson T. Briggs. 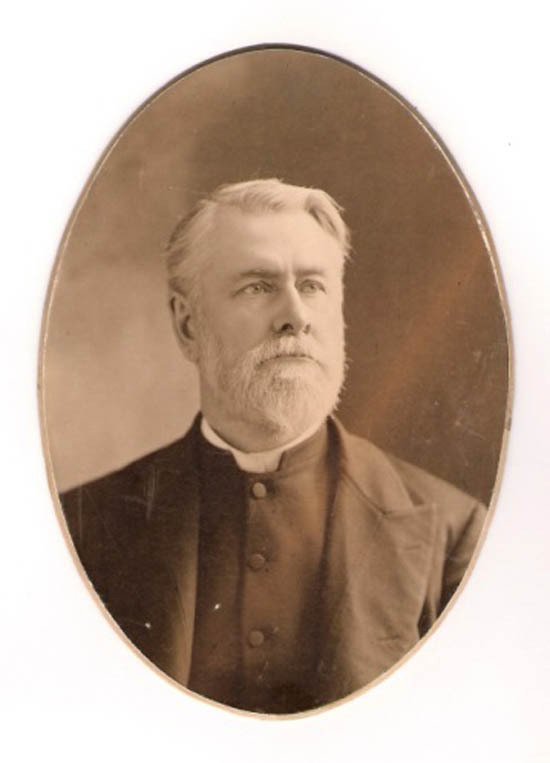 He graduated from the University of Virginia in 1860 and, while at university, experienced a religious conversion which led him to plan his future as a Presbyterian pastor. At the beginning of the Civil War, he joined New York’s Seventh Regiment in Washington DC for some months. 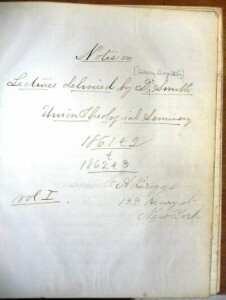 Briggs entered Union Theological Seminary in 1861 and was taught by Union’s renowned biblical faculty including Edward Robinson and Henry Boynton Smith. 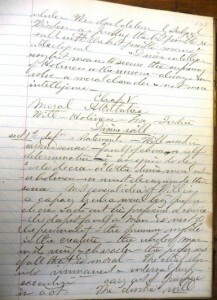 Briggs’ papers in the Burke archives contain some of his student notebooks. 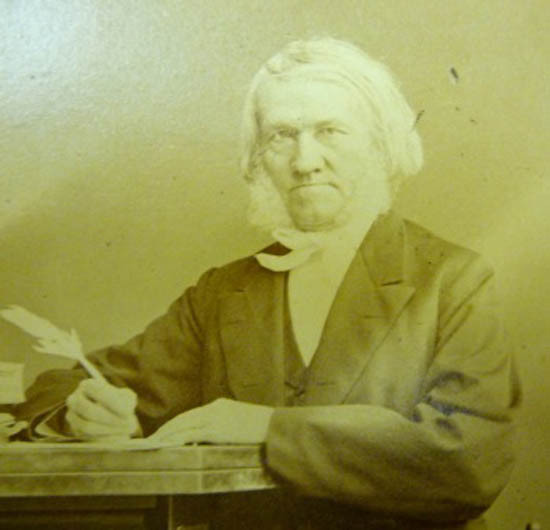 In 1863 Briggs was obliged to leave his seminary studies to manage the family business due to his father‘s ill-health over an extended period. This family business was one of the largest barrel-making companies in the USA, at a time when barrels were much in demand for packaging all types of material for transportation. The firm flourished during Briggs’ leadership. In 1865 he married Julia Valentine Dobbs, a highly literate and musical New Yorker. Charles and Julia had seven children, five of whom were alive at the time of their father’s’ death in 1913: Emilie Grace, Agnes, Alanson Tuthill, Herbert Wilfrid and Olive. 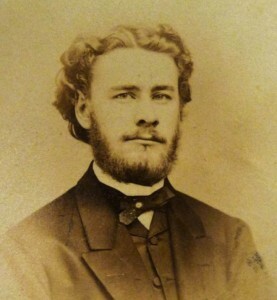 Briggs was finally licensed to preach by the First Presbytery of New York in 1866. In June of that year he and his wife left New York traveling to Berlin, Germany, where they stayed for three years. While there Briggs studied for his doctorate at the University of Berlin with leading theologians and proponents of historical critical scholarship such as Isaak August Dorner. While they were in Germany, their first two daughters, Emilie Grace and Agnes, were born. 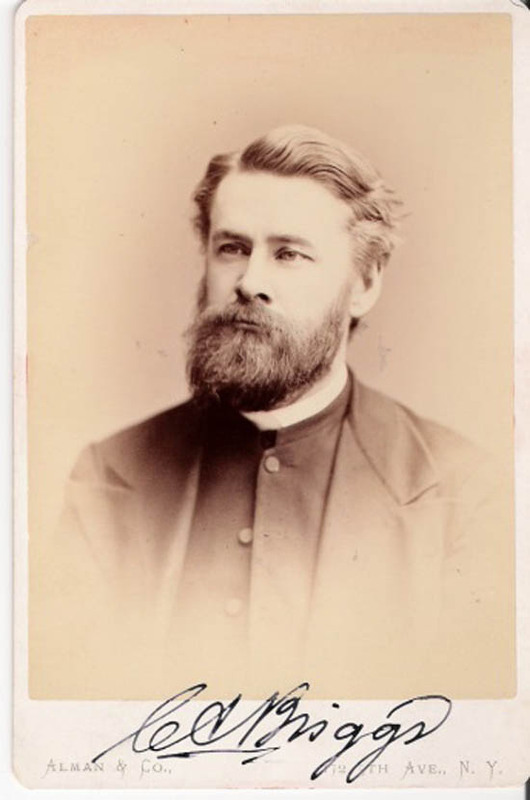 Returning to the United States in 1869, and following his Presbyterian ordination, Briggs was called to be the founding pastor of the First Presbyterian Church of Roselle, New Jersey in 1870. Roselle was the very first village to benefit from electrical light thanks to Mr. Edison! August Dorner visited the Briggs family in Roselle, and invited Charles Briggs to return to Germany to teach theology, but without success. In 1874 Briggs accepted an offer from Union Theological Seminary to teach as provisional professor of Hebrew and Cognate Languages. The family moved to Union and Briggs began to teach for the next 39 years in the seminary where he had been a student. One Union legend insists that Julia (Mrs. Briggs) was horrified at the idea of living in an apartment, when hearing of the plans for Union’s new building in Morningside Heights, and that is why large duplex apartments were incorporated into Knox Hall faculty housing. For a temporary period early in 1888, both Emilie Grace and younger sister, Agnes, were featured in the New York press because they had acted as amanuenses for their father while he was disabled with a hand injury and unable to write while facing several pressing publication deadlines. 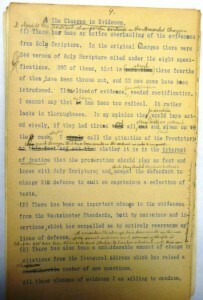 Three articles were produced by his dictation, including one 50 page article written and published within a fortnight responding to the Revised English edition of the Old Testament for the Presbyterian Review. Both girls had benefited from private and home education by their parents, including learning foreign languages. By 1890 Charles Briggs had already published articles on biblical criticism in the hope that the Presbyterian Church would begin to understand that this modernist method was possible without compromising their position as faithful Presbyterians. He and other Union faculty members were by this time influenced by the German theologians’ approach to biblical critical scholarship. However Briggs’ appointment in 1890, as the first Edward Robinson Professor of Biblical Theology, created problems for both himself and Union. This was not only heard by Presbyterians attending the inauguration, as his speech was also published and widely distributed. The reaction by the Presbyterian Church was both bewildering and overwhelming for the Briggs family. The Presbyterian Church called for Briggs to be “deposed from his Chair at Union” and to defend himself on the basis of his promotion of this approach to biblical study. This trial went on for over three years in the Presbyterian General Assemblies and led to a frenzy of coverage in the news press. These events affected both the Briggs family and the seminary. His family fully supported him personally, as exhibited in the many scrapbooks of the newspaper trial coverage which they compiled. Meanwhile Emilie Grace and Agnes, the two older daughters, joined the Episcopal Church. Union supported Briggs after some debate and refused to ‘depose’ him from his faculty position, which led to the return of Union to its position as an inter-denominational seminary. In this same controversy, two further members of the faculty were driven to join the Congregational Church. In order to avoid a schism in the Presbyterian Church, Briggs surprisingly preached as a Presbyterian layman for five years. In 1899 he was ordained in the Episcopal Church. Briggs continued at Union ever productive in teaching and publishing. He died in June 1913 as a result of pneumonia, which had been oddly diagnosed as ‘brain fever’ to the distress of his family. 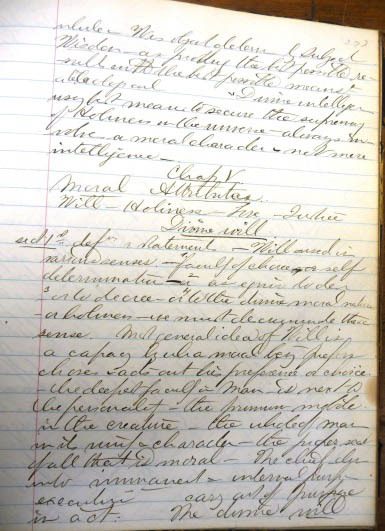 In 1944 Emilie Briggs donated her father’s papers to the Union archives, so that researchers could consult them. Watch out for two more Blog episodes about Briggs and family! This entry was posted in Collections on March 6, 2015 by Ruth Tonkiss Cameron. Ruth joined the Burke Library archives in December 2003, returning to archives after education and training roles in university libraries in England and Scotland.